By drawing of P. Rubens. Oil on canvas. 67 × 89 cm. Saint Petersburg, The State Hermitage MuseumInv. No. ГЭ 8531. 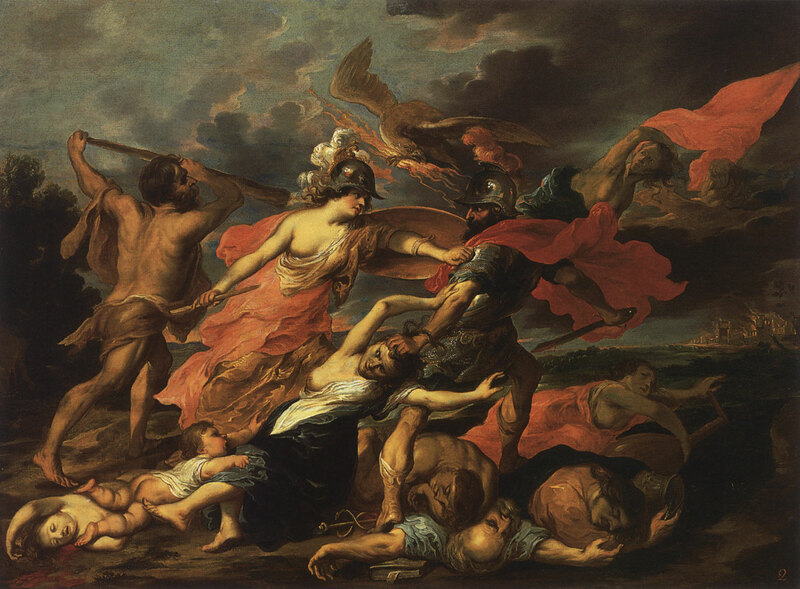 Hercules and Minerva, expelling Mars. Oil on canvas. 67 × 89 cm. Receipt: 1946, through the Leningrad State purchasing commission. © Photo, text: Antichnoe nasledie v iskusstve Zapadnoi Evropy. Katalog vystavki. s. 53 cat. No. 46.